Violence is the main obstacle to human development. There is an intrinsic link between violence and religion, patriarchal gender violence being the most pervasive expression of religious violence. Mitigating violence therefore requires overcoming the patriarchal mindset, especially in religious institutions. The mission of this independent newsletter is to provide a commented digest on current research and emerging issues related to human solidarity, ecological sustainability, and both religious and secular non-violence. 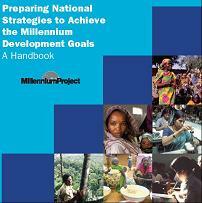 The U.N. "Millennium Development Goals" (MDGs) are used as a point of reference. ENCOUNTER Nuptial Dialogue Growing together in understanding of each other requires nuptial dialogue, i.e., open channels of communication between husband and wife. The marriage encounter movement, active in many Christian churches, helps couples in the process of opening their hearts and minds to each other. Daily nuptial dialogue is indispensable to sustain good relations between husband and wife. It is also indispensable to sustain good relations between parents and children and, in general, to foster sustainable human development. Gender inequality is the greatest obstacle to nuptial dialogue, which deteriorates as soon as the nuptial covenant breaks down and degenerates in either patriarchy or matriarchy. Revisit the nuptial resources page to find links to resources on nuptial dialogue. Description "Framed in a night dream - all is possible in a dream - President George W. Bush and Sheikh Osama bin Laden sit down and talk like two human beings. In their conversation they discover that they have quite a bit in common. At the end they decide to work together to bring justice to the world. The fictitious conversation, structured as if professionally facilitated, advances a possibility, a vision. Its aim is to provoke and to trigger something in the minds of people who grapple with the question: What could we do other than to resort to war, terror, and violence because of ideological differences? How can we construct a new reality - peacefully? The dialogue revolves around one of the most pressing and serious issues of our times. Yet, the material is presented as a satire. 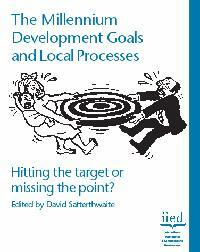 The text is addressed to persons interested in politics, conflict management, and peace building. It can well be used as a teaching tool. It will also contribute to many spirited conversations." 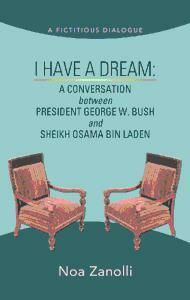 Source: I have a Dream: A Conversation between President George W. Bush and Sheikh Osama bin Laden, by Noa Zanolli, iUniverse, Switzerland, April 2008. If Not the MDGs, Then What? The pelican is a legendary symbol of commitment to the service of others, especially those who are weak and most vulnerable to physical and/or psychological violence. Symbols of the major religions. Source: Wikipedia For more information, see World Religions, which provides global maps and numerical tabulations showing religious distributions (as of 2005) by number of adherents, percentage of the world population, and geographic dispersion by regions and countries. He is an authoritative mainstream Turkish Muslim scholar, thinker, author, poet, opinion leader and educational activist who is for interfaith and intercultural dialogue, science, democracy and spirituality and against violence and turning religion into a political ideology. Gülen promotes cooperation of civilizations toward a peaceful world, as opposed to a clash. "Be so tolerant that your bosom becomes wide like the ocean. Become inspired with faith and love of human beings. Let there be no troubled souls to whom you do not offer a hand and about whom you remain unconcerned." Criteria or Lights of the Way, London: Truestar, 1996. Words Extended (WordsEx) is a powerful Internet text information discovery, retrieval, extraction, and display tool. It includes ranking heuristics that speed you to the choicest information. Minimal motion right hand operation, smooth scrolling and big fonts make it easy. This version is the first release on CNET Download.com. Windows 2000, XP, or Vista users can try WordsEx immediately by clicking HERE. It comes with a concise but clearly written user's guide as well as some additional software documentation. The tool can be used to find, retrieve, and rank online information on any subject matter, but several sample analyses supported by WordsEx are provided in Glenn's page. Will take place 1-5 December 2008, Mérida, México. See the conference website. The conference coordinator is Jaime Grace Engel . 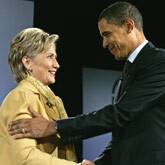 Scheduled for 15-19 February 2009, New York City. Theme: "Exploring the Past, Anticipating the Future." See the conference website. The conference co-chairs are Sabine Carey and Gerald Schneider. Sponsored by the Centre for Research on Latin America and the Caribbean (CERLAC). March 5-7, 2009, York University, Toronto. Sub-theme: "Regulation, Dispossession, and Emerging Claims." Organizing committee: CERLAC. Managing the Social Impacts of Change from a Risk Perspective, Beijing Normal University, Beijing, 15-17 April 2009. See the SCARR web site. For details contact Jens Zinn or Peter Taylor-Gooby. International conference on ecology and professional helping, with interdisciplinary dialogues on person, planet, and professional helping. University of Calgary, Alberta, Canada, 7-9 May 2009. Abstracts (in English or French) due 12 September 2008); submit via email to John Coates. For more information visit the conference web site. Additional points of contact: Fred Besthorn or Mishka Lysack. ISSR Conference, Santiago de Compostela, Spain, 27-31 July 2009. Theme: Challenges of Religious Pluralism. See the list of ISSR Contacts. The first World Resources Forum will be held in Davos, Switzerland, 16 September 2009. Theme: From the Natural Sciences to Economics. See the WRF Planning Poster. Contact: Dr. Lorenz M. Hilty. The International Union for the Scientific Study of Population (IUSSP) announces the XXVI International Population Conference, 27 September - 2 October 2009, Marrakech, Morocco. For the CFP and paper submissions visit the marrakech2009. The SSNV Knowledge Taxonomy has been updated. 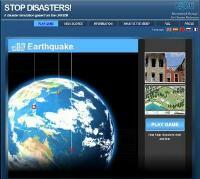 As of 20 May 2008, it provides links to 2131 web sites that contain evidentiary data and knowledge content that is relevant to global issues of human solidarity and nonviolence, environmental sustainability, and sustainable human development. Currently, the database is sorted by mega-disciplines, disciplines, and specialties. The sub-specialties field is temporarily being used for knowledge source (often using institutional or facility acronyms). 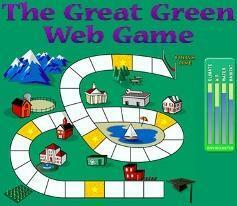 Many resources are applicable to two or more of the MDGs. This is work in progress, and both the taxonomies and the links will continue to evolve, but the reader may find something useful by clicking HERE. The SSNV-MDG knowledge taxonomy and links database can be downloaded as either an HTML web page or an EXCEL spreadsheet with embedded table-building HTML code that can be modified to fit the user needs.